We are delighted to announce that Waite’s Cleaners has been named “Best Dry Cleaners in Mobile” for three years in a row! This includes the the 2016 and 2017 Lagniappe Reader’s Choice Awards, and most recently, the 2018 Nextdoor Neighborhood Favorite! Thank you Mobile! 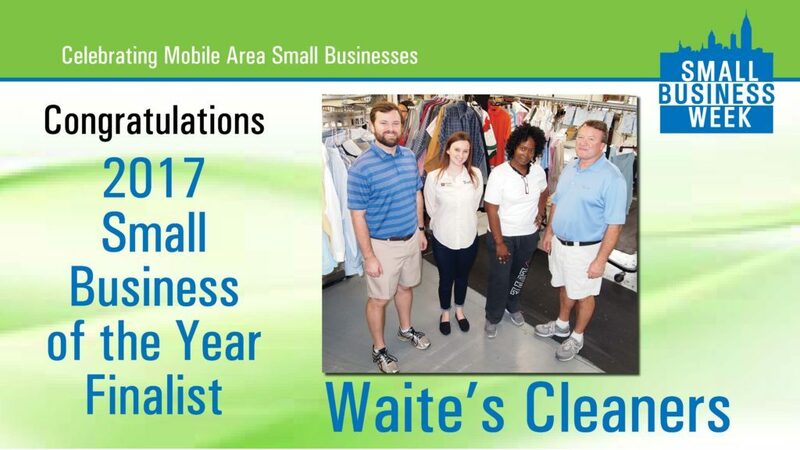 We are also delighted to announce that Waite’s Cleaners has been named by the Mobile Chamber of Commerce as a Small Business of the Year Finalist for 2017!